Auckland Choral – 100 years of Messiah - New Zealand Choral Federation Inc.
Every performance of Handel’s Messiah is a special event, and Auckland Choral’s 2018 performance will be extra special, as Christmas 2018 marks a hundred years of Auckland Choral’s Messiah performances. The choir’s Messiah Christmas tradition for Auckland audiences dates back to 1855 and was one of the first performances of the work on these shores. A near-consecutive performance tradition has been interrupted only by such momentous events as the outbreak of World War 1 and the flu epidemic of 1918. Handel’s Messiah was a popular work with the choral societies which sprang up around New Zealand in the latter half of the 19th Century. 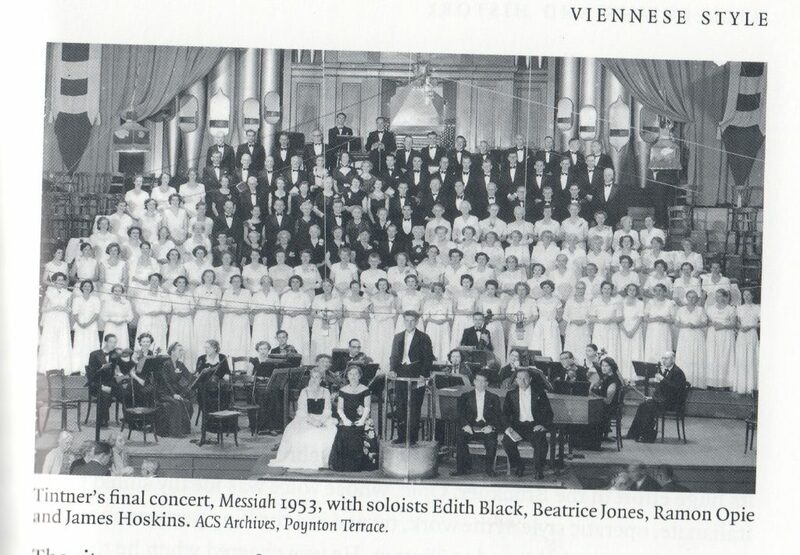 The Dunedin Choral Society (now City Choir Dunedin) has its origins in a choir that sang for a performance of Messiah in 1863* – so it’s fitting that members of City Choir are joining with Auckland Choral for this historic performance. A review in Auckland’s Daily Southern Cross of 4 March 1856, under the heading ‘Local Intelligence’, beautifully describes the structure of Messiah and how, under the direction of Mr Brown, ‘the choruses were given with great correctness and effect’. 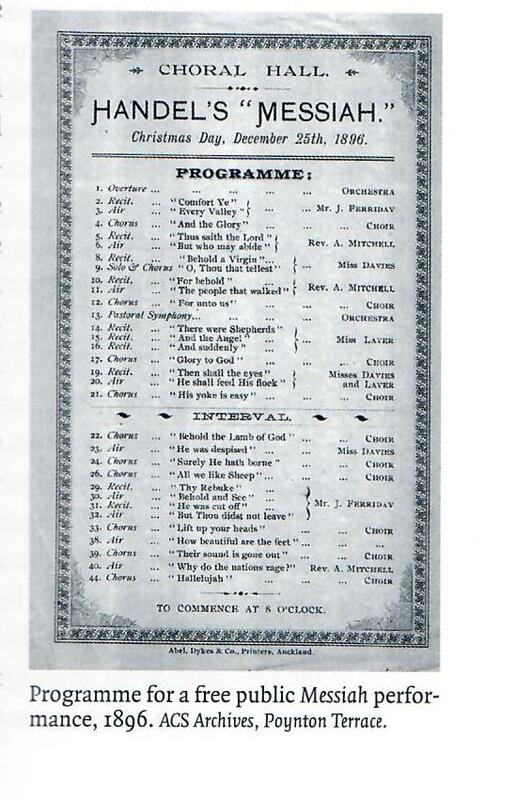 The reviewer wasn’t as impressed with the soloists, however, but then again, ‘how amazing to visualise those early Aucklanders getting off their boats and immediately forming a choir’ – this was early days and Auckland Choral has continued to grow and develop over more than 150 years. To celebrate this momentous century of Messiahs, Auckland Choral will be joined by visiting singers from Brisbane Chorale, City Choir Dunedin and alumni of Auckland Choral, along with singers from the University of Auckland Chamber Choir. Uwe Grodd will conduct the larger-than-usual orchestra, Pipers Sinfonia, to match the impressive vocal forces. Joining the choir will be a stunning line-up of soloists, including soprano Marlena Devoe, Australian mezzo-soprano Deborah Humble, New Zealand’s most famous tenor Simon O’Neill, and following a busy few weeks singing in New Zealand, bass Martin Snell.